Produced since 1990 | More than 1,000,000 pieces sold worldwide! Graphics renewed! Minispeed is an analog servo drive in Eurocard format (100x160mm | 8÷12TE), with 63÷200Vdc power supply for DC motors up to 15Nm. Axor Industries’ Minispeed is a modular DC Brushed Servo Drive in Eurocard pcb format suitable for low power DC servomotor applications. 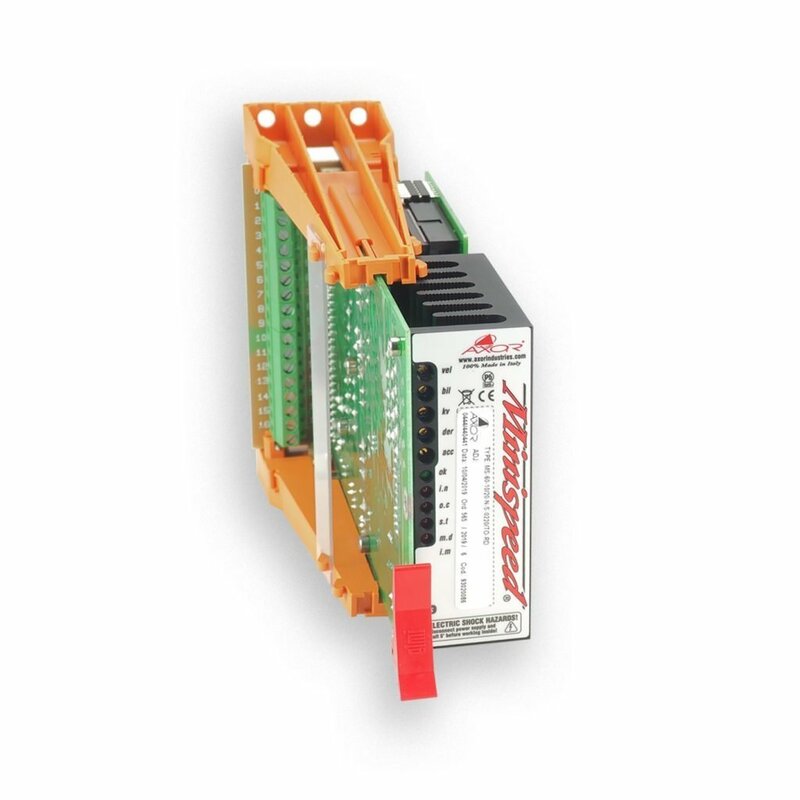 Analog braking module in Eurocard format for Minispeed systems, with 200W built-in resistance or 800W external resistance.